Sometimes my coaching clients use me as a reason, or maybe an excuse, to vent. They need to get “it all” off their chests and their minds, and therefore they share with me everything that has gone wrong and everything that everyone has done wrong. I generally give my clients ample time to vent, and then I challenge them to take responsibility – for themselves, their attitudes, and their actions. Because if we only vent, we get nowhere. If we complain about, or push against, what we’re facing, it only seems to loom larger and more powerful. While at first it seems like a relief to complain, and we jump at the opportunity to finally tell someone how things really are, when we do this our struggles seem to heighten and the forces fighting against us seem to strengthen and grow. It’s only by being more intentional – more thoughtful – in what we say and do and how we act and react, that we are able to change the only thing we can change. Ourselves. Just earlier today a client was deep in a long list of everything that was currently wrong and unfair at his organization. And he was right. But after a few moments I reminded my client that he ultimately had the choice how he viewed his situation, and what he did about it. He had the choice to see himself as, and feel like, a victim, ducking for cover from what was going on, or he had the choice to find a way to come from his powerful self – and to purposefully decide what he would do and how he would do it. He left our call feeling stronger and more in control, although nothing had changed but his attitude. It’s not that taking responsibility for ourselves actually transforms our circumstances or lessens our struggles, but it is truly wasted energy to try to alter what is going on around us that is outside of our control. It is similar to attempting to change summer into winter, or trying to stop the wind. When we take responsibility, when we actively choose how we will be with what is, we put ourselves in a better place. So I let my clients have their moments of venting when necessary (as I let myself as well) and then I call them to task – to their own Thoughtful Leadership™ and their own personal responsibility for the one thing they can change, and the only thing that makes a difference. 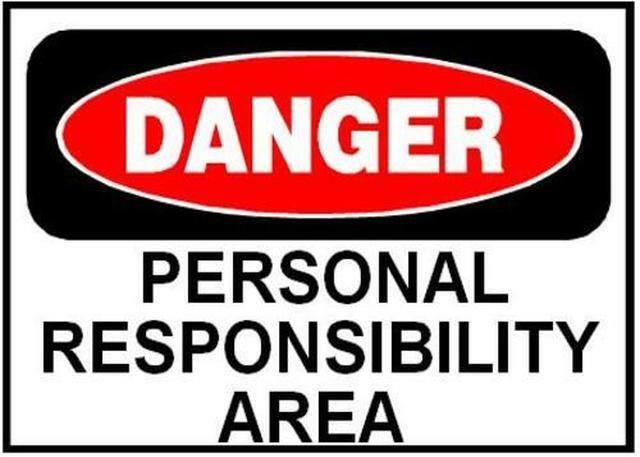 Where do you need to take more personal responsibility? Vent. Then take responsibility for what you can and change what is yours to change. You. What gets you to take personal responsibility? For help on taking personal responsibility contact, contact Lisa at lkohn@chatsworthconsulting.com.